Twitter is an effective way to reach your target market to build rapport, trust, and to sell your products or services. It differs from other networks in that you have only 140 characters to deliver your message, graphics, videos and/or links, which isn’t a lot. Aside from limited character count, Twitter can be difficult to manage because conversation streams move quickly. Despite these challenges, you can use Twitter to effectively market your business. Here are 9 tips to help you achieve top results. Because spammers like to use Twitter too, many people are leery about following others who don’t have complete profiles, including a photo. So before you start tweeting and seeking followers, make sure you’ve added your photo, use a username that fits you or your business, and a short bio that describes your business’ benefits. You’re allowed to use hashtags and to mention others in your bio, which can be helpful in getting people to find and connect with you. Also, you can use a large header banner, which is a great space to highlight your products and services. Although it’s okay to tweet random thoughts and ideas, if you’re building a business, the majority of your tweets should have a goal end result. Do you want to inform or entertain? Are you seeking more followers or newsletter subscribers? Are you building trust or rapport with your market and/or influencers? Twitter moves fast and it can tolerate more messages per day than other social media networks such as Facebook or LinkedIn. Make those messages count by having a purpose beyond sharing what you had for breakfast. To help manage social media, create a plan and use tools such as HootSuite, Tweetdeck, or Buffer. These resources can help you follow influencers, hashtags, and other feeds you want to follow. Plus you can schedule posts so you don’t have to be online 24/7. Twitter moves so fast, there is no way people can digest every message. Further, many messages in their feeds, they don’t care about. The solution has been to categorize messages using hashtags. Twitter users use hashtags to find the information they want and need. Help them find you by using the hashtags they use to find that content. Hashtags are searchable, and you can create a stream (i.e. in Hootsuite) that lists the tweets using a specific hashtag. Although started as a text-only micro-blogging social network, today you can post pictures and video on Twitter. With fast moving feeds, a picture or video has a better chance of standing out from the noise. There are many places online where you can get free graphics or make a GIF to use in social media. Do you follow businesses on social media that only post “Buy me” messages? I doubt it. The truth is, people don’t sign up for ads. They sign up for tips, information, and entertainment. 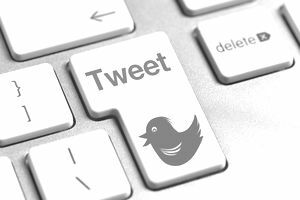 The bulk of your tweets should provide something your market would be interested in, with only the occasional promotional post. Social media, as the name says, is social. It’s a two way conversation. So along with your posts, take time to respond to comments and posts made by those who follow you and who you follow. Thank people for re-tweeting your content. Consider having a Twitter Chat, where you can spend time conversing directly with your market. Take it ones step further and host a live informative video through Periscope or Meerkat that includes the ability for people to chat with you via Twitter. It’s true that you’re judged by the friends you keep. So make friends with people who have influence in your market. Don’t be obnoxious in seeking influencer attention. Instead, follow them, retweet their content, and make comments to their posts. When they notice how supportive you are, they’ll take a look at your Twitter feed, and hopefully, repay the generosity you’ve shown them. There is no better publicity than a raving fan. When people like you, they’ll tell others. Referrals are the cheapest and most effective way to build your business. So when you’re followers say nice things about you or retweet your tweets, make sure you thank them. Twitter is free, but if you don’t have a lot of followers or engagement, one way to grow is through Twitter’s Quick Promote. This is basically a paid ad, and done well, can help build your business. Instead of using it to sell, consider using it to share great content on your website or freebies given away to subscribers of your email list. Like many other online ads, you can target the location (i.e. U.S.) and set your budget.